The State-owned company National Fertilizers Limited (NFL), the Fertilizer Corporation of India Limited (FCIL) and Engineers India Limited (EIL) have decided to form the Ramagundam Fertilizers and Chemicals Limited (Ramagundam Fertilizers) joint venture to revive the closed ammonia and urea facilities located in the central southern Telangana State of India. – The remaining shares are still to be allocated. 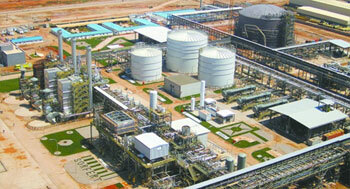 Since 1999, the Telangana fertilizer plants are closed because of the lack of commercial viability. In this India southern region, the fertilizers industry was born from the development of the coal and required expensive and non-competitive coal gasification process before its conversion into ammonia and urea. Although India stands among the largest consumer and producer of nitrogen fertilizers in the world, it has also become on the last decade one of the largest importer from much cheaper gas-based ammonia and urea. If this situation is satisfactory in a short term it affects India trading balance sheet in $ billion over the years. In 2014 the new India Government has started to work on this issue to investigate solutions. In September 2014, the Minister of Chemicals & Fertilizers announced a scheme to revive some idled ammonia and urea facilities in replacing the uneconomical coal supply by gas supply such as Telangana. Only along the Jagdispur – Haldia pipeline, NFL is planning to build two to three gas-based nitrogen fertilizer complexes. Known as the city of energy, Ramagundam is located 240 kilometers north of Hyderabad, the capital of the Telangana State. To revive this Ramagundam fertilizer facility, NFL has decided to form a joint venture with FCIL and EIL. Together NFL and its partners will invest $1 billion in the Ramagundam Fertilizer project. To supply Ramagundam Fertilizer, NFL and its partners will pipe the natural gas from the Mallavaram – Bhilwara transportation line. In parallel the Sripada Yellampally Barrage on the Goadavari River will provide Ramagundam Fertilizer with the required quantity of raw water. With the front end engineering and design (FEED) being completed, NFL and its partners EIL and Fertilizer Corporation of India are intending to start the engineering, procurement and construction (EPC) in following so that the Ramagundam Fertilizer project could turn into ammonia and urea production in Telangana by 2018.